Jaja’s defiance seemed to me now like Aunty Ifeoma’s experimental purple hibiscus: rare, fragrant with the undertones of freedom, a different kind of freedom from the one the crowds waving green leaves chanted at Government Square after the coup. A freedom to be, to do. 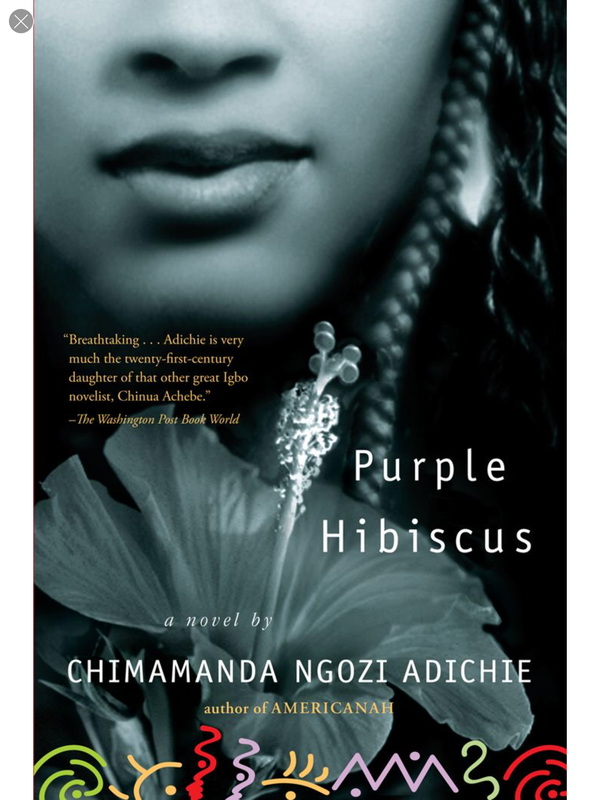 Adichie’s debut novel, Purple Hibiscus, was my first book for 2015. The first time I heard about Adichie was through her TED lecture titled The danger of the Single Story. It was both poignant and funny, but most importantly, it forced me to reevaluate some of the baseless assumptions that I held about other people (other cultures) because of stories that I’d picked up from the Internet, television and newspapers. It showed me how a storyteller can affect the way you see the world depending on the angle he/she decides to take. 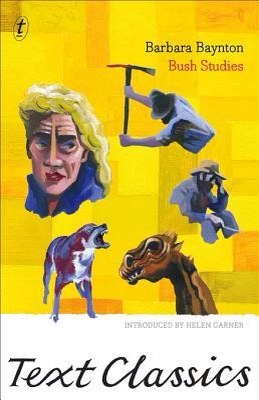 Then I read Half of a Yellow Sun, which was all the rage at the time. It was significant to me because not only was it the first Nigerian novel that I’d ever read, it was my first African Novel. My first tiny viewfinder on a continent that I only knew through history lessons, reggae music, news networks, football and the discovery channel. Last year I read my second Adiche novel, Americanah, which made me think of Junot Diaz and Edwidge Danticat (two of my favourite authors), who have written stories that try to illustrate the successes and failures of translating non-white cultures in predominantly white spaces. In Americanah, the two main characters, Ifemelu and Obinze, leave Nigeria for better opportunities, only to find new challenges that they are not prepared for. Americanah was about a lot more than this, but this is what stuck with me months later. Purple Hibiscus is not only an excellent first novel but an apt symbol for Adichie’s writing. The story follows an astringently catholic Nigerian family, the Achike family, who try to hold on to their faith in the face personal, familial and political conflict. The problem with the Achike faith is its potential for blindness. Blindness to the cruelty that it inspired in Eugene towards his wife, Beatrice, and his children, Jaja and Kambili (the protagonist), when he suspects that they’re not walking the holy path. Blindness to the fact that Eugene’s rejection of his father, and traditions that would have existed before his apostasy and conversion to Christianity, is in fact a kind of rejection of a part of himself. Blindness to the fact that the families good fortune could not continue to go untouched by the political turmoil that Nigeria is facing in the story. Adichie’s writing is like the experimental purple hibiscus because it seems to embrace all traditions, it shows a willingness or “…freedom to be…”, it flowers in the face of prescriptive dictums of those who think that African writers should be more Afrocentric or Eurocentric, but as far as I can see, Adichie’s stories are more people-centric. *This book was read as part of The Book Riot 2015 Read Harder Challenge. There is little that I can say now about Ben Okri’s article that Sofia Samatar hasn’t already said. 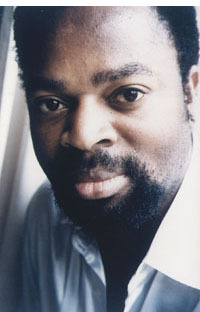 It’s a bit surprising that someone of Okri’s experience and stature would blame “black and African Writers” for the failure of readers, publishing companies and, what Bajan-Canadian writer Robert Sandiford calls, “Legitimate Critics” to think beyond what they expect “black and African Literature” is meant to be. I’d always thought that it was public knowledge that there was inequality within publishing industry, and it was this public knowledge that sparked the #WeNeedDiverseBooks movement, that inspired Book Riot contributor Cassandra Neace to make a commitment to reading writers of color, that inspires Book Riot contributor Amanda Nelson to get into Facebook/Twitter battles with the book bigots of social media and inspired Aarti Chapati’s A More Diverse Universe reading challenge. Movements geared to create greater visibility to writers of color— to expose readers to writers that do not fit comfortably into the white heteronormative male category, and therefore do not get the same exposure. Like Okri, I do believe that literary works, regardless of who is creating it, shouldn’t place most of the importance on the subject, “Rather, it is the way they are written, the oblique way in which they illuminate something significant.” However, why assume that because a piece of writing deals with with one or more of the aforementioned subjects that it could not also be concerned with the beauty of language and structure? Why assume that those “black and African writers” that deal with one or more of those themes are being oppressed by “mental tyranny”? Can it not be that the writers that Okri is castigating might be freely choosing to address these issues because they matter? In the first paragraph Okri states that “…we look to writers to reflect the temper of the age,” anyone can flick on the news or scroll their Twitter/ Facebook feed and see that these issues are very much relevant, and if the existing “black and African Writers” don’t discuss them who will? Don’t misunderstand me, there are works out there that focus so hard on the themes, on the message that he/she is trying to convey, that the aesthetic aspect of it seems to have been lost somewhere. In a way I do understand what he means about the loss of the true significance of art, too many times I’ve heard/read about writers commended or disparaged of their approach to subject rather than aesthetics. Often, it is only really in the academic spaces and the academic/literary journals where everything is considered in its entirety. However, again is not the fault of the writer but of the existing stereotypes within the publishing industry and a failure on side of Sandiford’s ‘legitimate critics’. I guess these quotes would beg the the question of why writers write , but isn’t it possible that there are writers out there, of any race, nationality and/or gender who may be more concerned about writing about the subject/s that move them rather than write about the subject/s that will earn them “greatness”. Just a thought. This week I had the chance to check out Chattel House Books, Barbados’ newest bookstore. It only opened last week Thursday in Sky Mall and the shelves were still a little sparse but an employee at the bookstore explained to me that more books were coming. What really got my attention when I walked in though wasn’t the gaps on the shelves but the display of local publications. As you enter the store the first thing you see is a table draped with a blue tablecloth, covered by an eclectic selection of local publications. In most Bajan book stores, you have to look for the Local/Caribbean section (usually sequestered in some corner) and even when you find it, there are so few books there that it’s really not very inspiring. I learned about Chattel House Books the same way l learn about most local things—just by chance on Facebook. The NCF Literary Cultural Officer Ayesha Gibson-Gill posted/or was tagged in some photos of (what I think was) the grand opening of the book store. I say grand opening, but the Chattel House Books is really a division of The Book Source, which has been around for a while. The difference with Chattel House Books however, is that it is committed to local and regional books/graphic novels. There are still some international books, but they seem to be more on the literary side. In an earlier post, I naively repeated Jeremy Poynting’s (founder of Peepal Tree Press) statement that he made at Bocas Lit Fest about the habits of Caribbean readers. He discussed how they seem to have a predilection towards British/American popular fiction, while Caribbean writers aim to write literary fiction. Now though, I’m not so sure it is as simple as that. 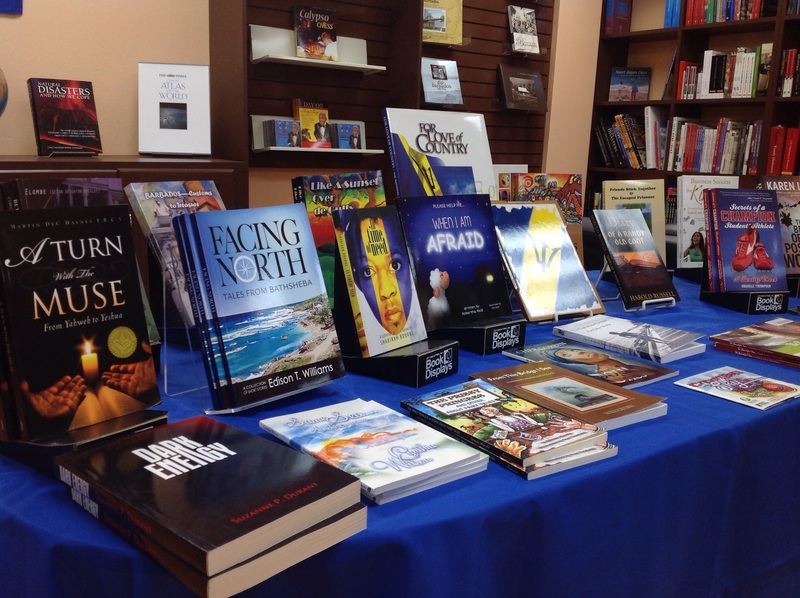 I think part of the problem may lie with the presentation of Caribbean books. Obviously, I can’t speak for the entire Caribbean, but certainly in the Barbadian context, the British/American popular fiction sell more because they are more accessible. Presentation wise many of the international books come in more attractive packaging and are more readily available, while many local/regional book covers have a rough and unfinished feel to them and are hidden away. When a consumer walks into a book store and is confronted by an unfamiliar author, all they have to go on is the look of the book cover and the summary. Obviously, there is no correlation between the quality of a book cover and the quality of the writing, but presentation goes a long way. The presentation of the book cover also can, and often does, add a layer to the story or set the tone for the book. The importance of book covers hadn’t really occurred to me before, but a writer friend of mine drew it to my attention. Recently, at a reading the featured author recounted a small disagreement she had with her publisher’s choice of book cover. When she complained about the book cover her publisher calmly informed her that, “you’re the author and I’m the publisher” intending that to be the end of the matter. The book was meant to be a young adult novel so the author showed the proposed book cover to an arbitrary 14 year old and asked him if he would read this book, and the boy said, “No. That looks boring”. Fortunately, the author and publisher finally ended up on a book cover that was satisfying to both parties. She said that at previous readings that she did in schools the students were really excited about the book cover, but imagine if she was stuck with the “boring” book cover—her book would probably get passed over for something that looks more like Harry Potter or Hunger Games. Despite that old adage, people do literally judge books by their covers. The placement of the table in the new bookstore was very clever because even though there were books on the shelves around me I was drawn to the centrality of the display table. I didn’t have to navigate my way through shiny covers of international popular fiction to find the local books. 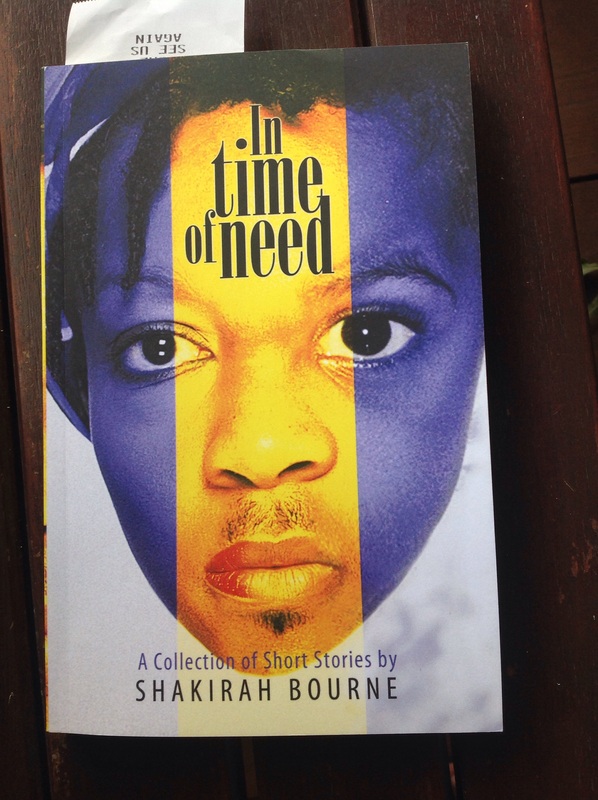 Before I knew it I was standing by the cash register with Shakira Bourne’s In Time of Need. We can’t dictate what publishers decide their book covers will look like, but maybe the predilection that Poynting referred to can be changed, at least in Barbados, if more book sellers followed this example and put local/regional writings in more accessible places, and tucked the popular fiction books in some corner of the book store. It’s always cool when you get a chance to meet the author of the book you’re reading, or at least thinking of reading. 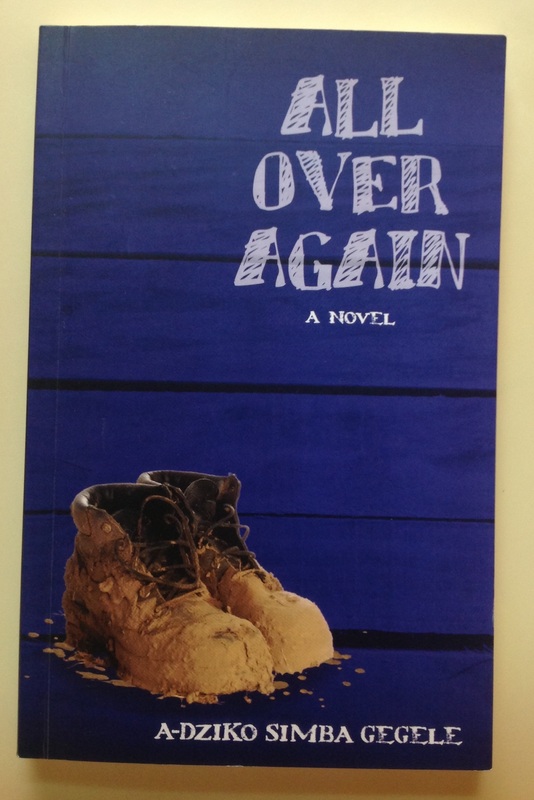 Last week I went to hear the winner of the inaugural Caribbean Burt Award, A-dZiko Simba Gegele, read parts from her debut novel, All Over Again. I’ve been to readings before, but something about this one was a little more intimate. There may have been 20 chairs laid out, but only about 6 people were there. The room looked pretty sparse so, instead of sitting at the desk and chair laid out for her, she came and sat with us. I didn’t mind the low turn out because it meant that I got a chance to chat with her little before the reading began. When it came to the reading, it probably helped that she had a performance background, because I was so hooked by the story, or the cadence of her voice, that as soon as the reading was over I made sure to get a signed copy of her book. Yesterday, while working a Farmers Market coffee shop, I saw 2 boys trailing a familiar looking lady. 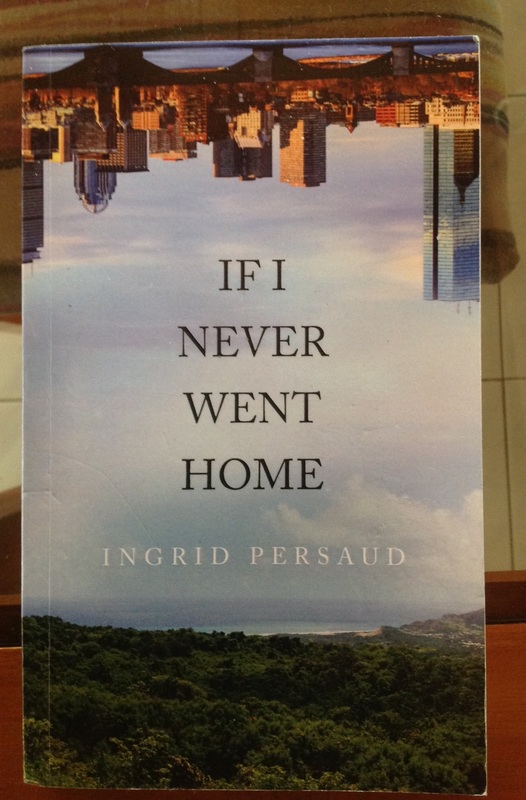 The boys were there to sell lemonade to raise funds for Doctors Without Borders and as they set up, it hit me that the lady was Ingrid Persaud, who published her debut novel last year, If I Never Went Home. It has been sitting on my bedside table for ages along with a couple of other novels I’ve been meaning to finish reading but haven’t gotten around to yet. I went up to her just to make sure, and she was nice and seemed excited to be recognized. Now I definitely have to finish reading it, so if I ever see her again I can tell her what I think. 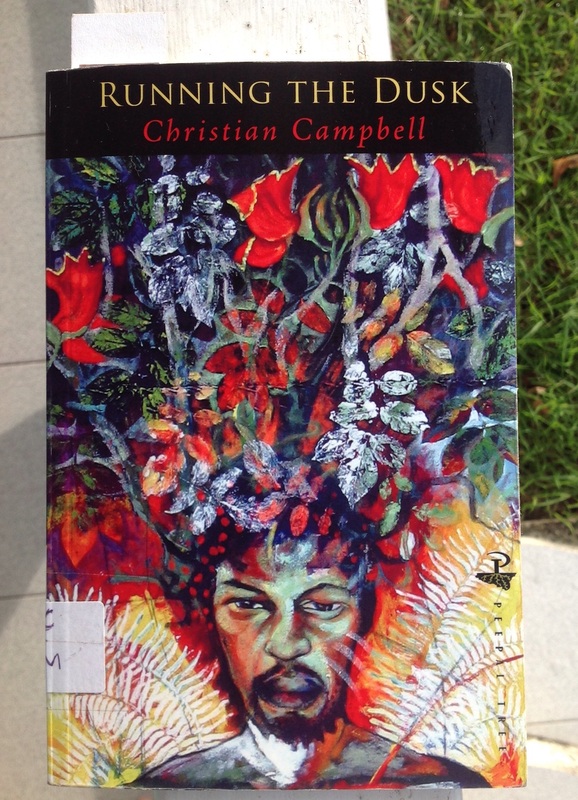 Next week, I’ll be meeting Christian Campbell, Trinidadian-Bahamian poet and cultural critic. I’ve been desperately trying to work my way through his collection of poetry, Running the Dusk, before he gets here, but if you read poetry you would know that it’s not something that can be rushed. I’m not even half-way through. However, Campbell’s collection is the first collection of poetry I’ve tried to engage with in a long time, I didn’t realize how much I missed the taxing but enjoyable activity of trying to pick a poem apart. 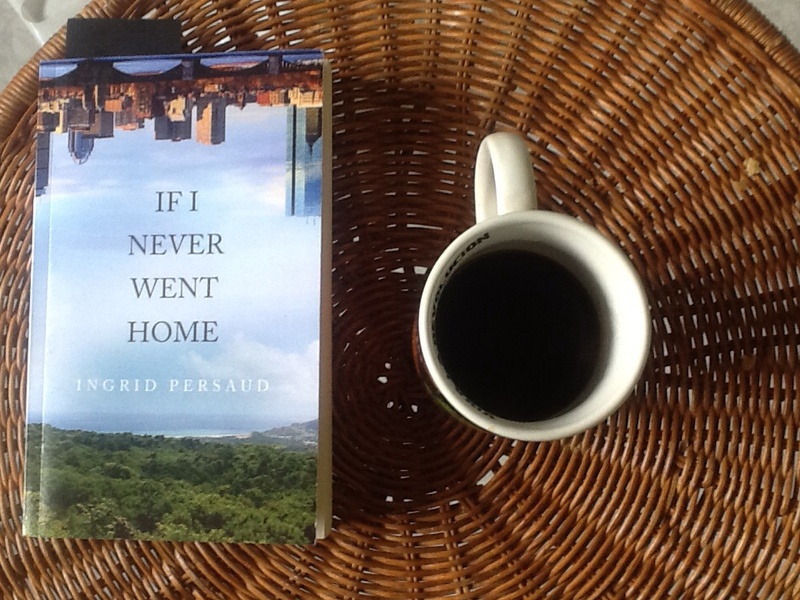 In any case, I’m looking forward to meeting Campbell and I loved meeting Persaud and Gegele because (in the brief conversations that I had with them) I got the sense that they didn’t have it all figured out, they were just doing something that they loved. I’ve heard it said, more likely I read somewhere, that you shouldn’t meet your idols because you might be disappointed, but I like to meet the writers I read, or want to read, and see them in all their imperfect glory—It’s a reminder that a human-being wrote this book. 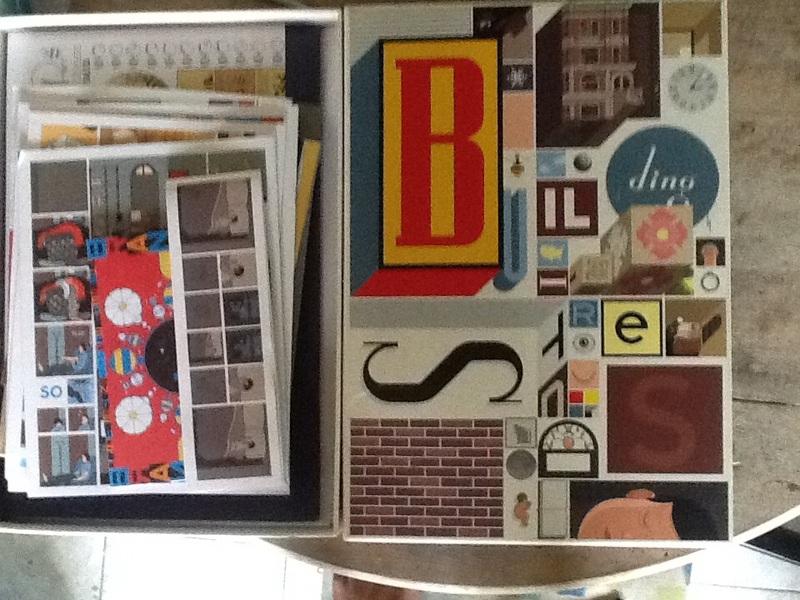 Some time last month I went to the post office to pick up a package that I’d been waiting for for a few weeks; It was my copy of Chris Ware’s Building Stories. While I was at the pick-up window the post office guy (not sure what his job title is) looked at then package and then looked at me and asked, “Is this some kind of board game?” I said no, it’s graphic novel… he gave me look that I wasn’t sure how to read. There is no customs charge on books, so maybe he was thinking I was trying to pull a fast one on him so I didn’t have to pay for what looked like a board game to him. After a few seconds of not saying anything he let me leave. It may have helped that there was another book in the package. In case you’re wondering, Building Stories is a graphic novel—at least that’s the only way that I can think to describe it. I often think of it as an unbound graphic novel with chapters of various sizes, from pamphlet to broadsheet, that can be read in any order. I’ve read it one way so far, from smallest to largest, which seemed to be the easiest and the most obvious way to read it. That’s the cool part about Ware’s graphic novel, you can choose how you want to approach the narrative, there’s even suggestions on the back of the box where you can place or “lose” certain contents of the box in certain parts of a “well appointed house” (that is your house not someone else’s), only to rediscover and read them later. Building Stories allows the reader to build the stories in anyway he/she sees fit. This isn’t something that can be read on an e-reader, reading Building Stories is a very tactile experience. You have to pick up the different pieces and while reading the different sections or chapters you can’t help but feel the the differing textures. Before reading Ware’s work I’d read few books on the kindle app on my iPad, so reading Building Stories was not only a reminder of the pleasure of reading something physical, but it made me realise that there are some reading experiences that an e-reader can’t duplicate. Having said that, the same can be said for e-books. 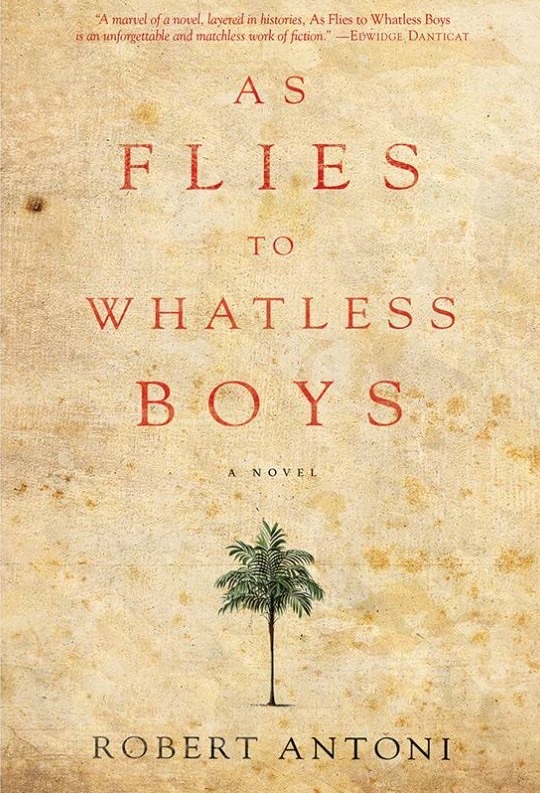 I recently finished reading Robert Antoni’s As Flies to Whatless Boys, which won the OCM Bocas Lit Fest Award in April of this year, and I really loved Antoni’s use of videos as well as other “artefacts” that help set the tone for the novel. It’s true that if I had the physical copy of Antoni’s book all I would have to do would’ve be to go to my computer or mobile device and watch them there, but that would require pulling myself out the narrative to watch the video and then and have to get comfortable again. Reading Antoni’s book on my iPad was better, because I didn’t have to move, the videos both appeared with a gentle tap of the thumb. I also love the bit where I can buy a book and it instantly appears in my digital library, but that’s just me. Book or e-book? I think that Ware and Antoni have shown that both have their merits. At least it seems that one form is not necessarily better than the other, just different. 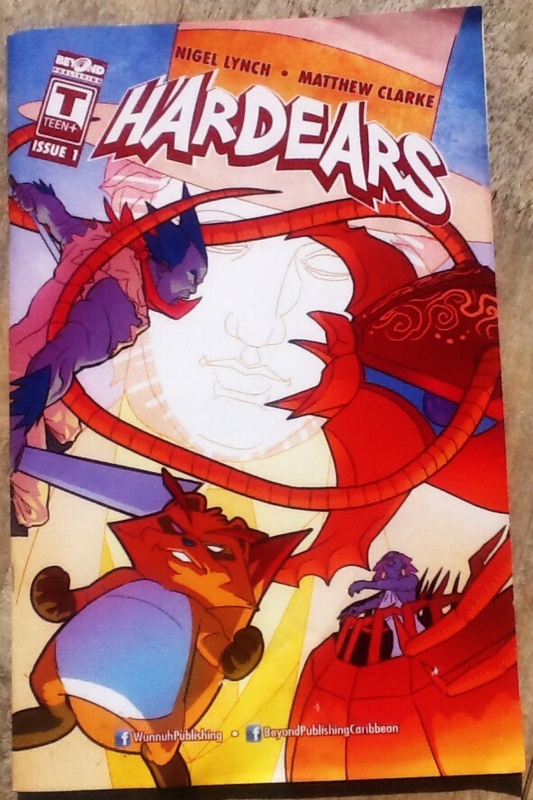 The first issue of Hardears (2014) is a combination of invocation and reinvention. Having already read the first volume of Heart Man I was already prepared for Clarke’s ability to construct a fresh visual narrative with existing folklore. However, combined with Lynch’s storytelling, Hardears was something simultaneously recognisable and completely different. Lynch and Clarke didn’t just refashion certain characters out of Barbadian folklore, but also refashioned characters and elements from the local landscape and history. The first issue introduces a cultural “melting pot of all sorts” in the capital of Jouvert Island, Barrington. In the capital there are flying fish adapted to vehicular flight, Avians (flying humanoids), police riding flying sharks, and tall Bearded fig trees (in one of which Union Parliament sits). The Union Parliament with all of the different Guilds is in session, preparing to take action against the sentient Hurricane Gilbert, who is bent on the destruction of the island. Jouvert’s defence against the Hurricane approaching across the Hardears Sea is the Landship, which is described as “…the most powerful means of external and internal defence, able to perform peacekeeping duties to vanquishing attacks by Hurricanes”. The other part of the tale takes place in Jouvert’s countryside which is “…carpeted with sweet cane, rich in basic vibez, essential to all life…”. Vibez is like energy or chi. Bolo, who appears to be one of the story’s heroes, is so full of vibez that he can cut cane faster than any mechanised cane cutter. He enters the story, his hair sticking out like Akuma’s from Street Fighter, with a cutlass in each hand slicing through a row of sugar cane while the machines trail behind. Bolo’s supernatural ability is not the only thing that gives the somewhat familiar country landscape an other worldly feel; there is also Duppy, a talking raccoon who pokes fun at Bolo’s failure to attract a young lady’s attention, and a giant field centipede that attacks the same young lady giving Bolo a chance to be a hero and save face from his earlier embarrassment. However, my favourite character enters the story after disaster has struck and Jouvert Island needs to rebuild. Out of nowhere arrives Mr. Hardin with a top hat, a face that looks like it’s been splashed with white paint and three piece suit offering some kind of dubious salvation. In Barbadian Harvest Home/Crop Over history Mr Hardin is an effigy dressed a little like a plantation owner and stuffed full of cane trash. He represented hard times and was burned at the end of the celebration. Clarke’s and Lynch’s version exploits the dire need of the island, and eventually shows himself to be a kind of parasite or vampire who feeds on vibez. At the end of the comic book is a visual glossary entitled ‘The World of Hardears’, which is kind of like a tourist guide book full of points of reference to make it easier navigate the story. Somehow it is strangely appropriate, because Barbados’ main money earner is tourism and the reader is a tourist visiting the Hardears Islands. This clever bit of exposition not only helps the reader to navigate through this first issue, but also provides information that will help in future issues so that Clarke and Lynch can just throw the reader straight into the action. I did find that the pacing of the story was a bit disorienting; it would have been good to see some more continuity of action from panel to panel. However, overall I think the comic book is pretty cool, I highly recommend it and I would definitely look out for more issues in the future. The comic book was donated to the Colleen Lewis Reading Room by Beyond Publishing Caribbean and is available upon request. For the past week I’ve been unsuccessfully trying to collect my thoughts on Baynton’s ‘Scrammy ‘And’ and ‘Billie Skywonkie’—sometimes real life has an irritating habit of getting in the way. However, there are two words that keep popping up when I think of these two stories; loneliness and hostility. A sense of loneliness seems to be a kind of perennial element in Baynton’s collection. In the last post on Bush Studies (1902), I briefly looked at two protagonists who had to contend with with hostile environments on their own. The story focuses on the life of a miserable old man and his loyal dog (Waterloo, pronounced Warderloo by the old man) who have been left on their own mind a farm. The old man’s monologue or dialogue with his dog—whichever way you want to look at it—is really a list of grievances against women, marriage and motherhood, “They can’t never do anythin’ right, an’ orlways, continerally they gets a man inter trouble.” His prejudice doesn’t end with humans, but also extends to a particular ewe who isn’t capable of feeding her lamb. The tone of the old man shifts from malicious humour to outright anger, depending on whether he ‘thinks’ Waterloo/Warderloo ‘agrees’ with him or not. Apart from the old man talking to his dog, there is an ominous silence that descends on the Bush. The old man tries to find plausible explanations for a few things that are not quite right on the property, but even his wilful blindness cannot shake the niggling feeling that something bad is going to happen. This story was a bit tricky for me because I had difficulties navigating around the dialect. It reminded me of when I read Weish’s Trainspotting for the first time. In a way I think that my confusion parallels the young woman’s, who rode the train all the way to the bush be a housekeeper. My difficulty with the language is like her difficulty with the customs of the people she sees even before she gets off the train. The isolation in this story is more of a cultural one than a physical one as the young woman tries to understand the people around her, particularly Billie Skywonkie, who drives her to her new place of employment. Most of the story takes place with Billie, whose name you don’t know right away, driving the young woman. In a way this story is little like Alice’s tumble through the rabbit hole, except the rabbit hole is the train at the beginning of the story. Or it could that the young woman is Dante being led through hell by a less than reputable Virgil. Whatever it’s like, under the light hearted (sometimes difficult to understand) chatter and narrative, there is that sense that this man is not what he appears to be, and it is hard to miss the elements of sexism and racism which rear their ugly heads more and more as the tale gets closer to its conclusion. So far, all of Baynton’s stories have been lonely and hostile, and she presents the bush as an empty and dangerous place. I’d read somewhere, I can’t remember where, that Baynton’s ‘unromantic’ depictions of the bush were a response to previous misogynistic and ‘romantic’ depictions. The blogger at Whispering Gums suggested that it may be more like a different perspective than a response, however, Baynton did live an unhappy life the bush with a philandering husband. The next Reading Australia post will be on the last two stories in the collection, ‘Bush Church’ and ‘The Chosen Vessel’. Even though my physical and digital book shelves are stacked with tons of books that I haven’t read yet, I can’t help always looking for new books to get lost in. Unfortunately, I can’t afford my own book lists, so I’m always left with some books that I want to read that are outside of the book budget. 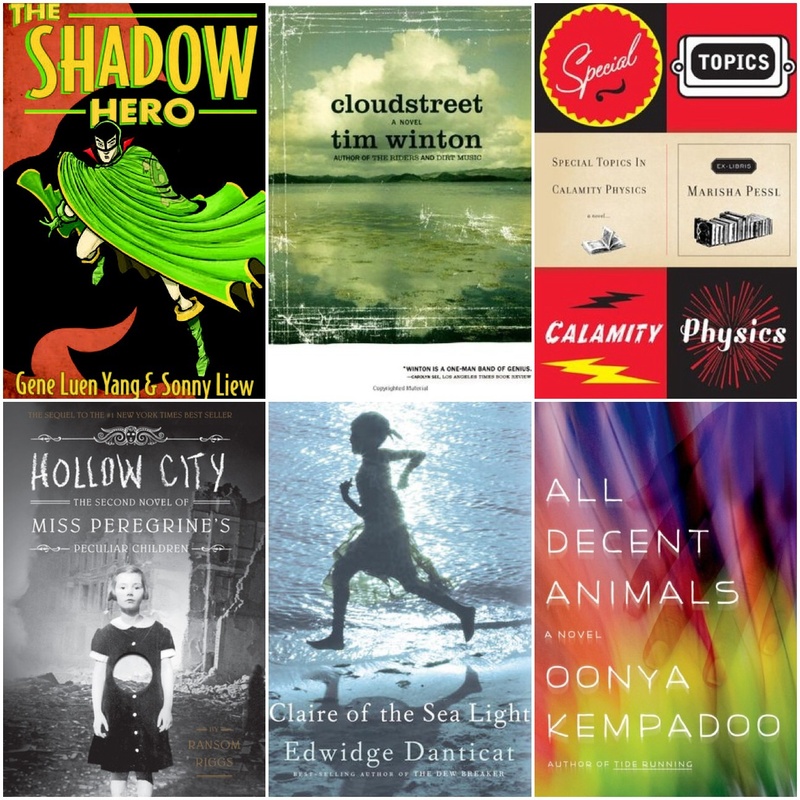 So here are my top 10 books that I haven’t bought yet, in no particular order. I’d never heard about The Green Turtle until all the recent press about Yang and Liew resurrecting the first Asian-American superhero. I find the idea that a non-white superhero could have existed in the golden age of comic books—a time when any call for literary diversity would have been soaked in the most racist vitriol— to be quite incredible. Also, I recently read Yang’s American Born Chinese (2006) and it was awesome. This came as a recommendation from Whispering Gums for my personal challenge, Reading Australia. Winton is an award winning Australian novelist, who has been short listed for the Man Booker Prize twice. Cloudstreet (1991) is an epic story that follows the lives of two very different families living under the same roof. Earlier this year I read Night Film (2013), after seeing so many of my favourite book bloggers talking about how great it was. It haunted me for weeks after I read the last page. It was easily one the most entertaining novels I’ve read for the year, by an author I’d never heard of before. Special Topics in Calamity Physics (2006) is her debut novel, and I thought it’d be cool to read the novel that started her writing career. I read Miss Peregrine’s Home for Peculiar Children (2011) a couple of years ago and I loved it. The narrative, combined with some eerie photographs, follows the journey of a young boy trying find out the truth about his grandfather’s death. Hollow City (2014) is the sequel. Both Breath, Eyes, Memory (1994) and the The Dew Breaker (2004) have had a major effect on me. Both stories deal with the complexity of Haiti’s political realities and the need for the immigrant to try to strip his/herself of the horror of his/her own personal history and start anew. This story seems to be little different, all of the events seem to take place in Haiti. Years ago I read Buxton Spice (1998) which was a glimpse into the socio-political realities of Guyana in the 1970s through the eyes of a child. I thought it was both beautiful and disturbing. Since then I promised myself I had to read some more works by Kempadoo. Christmas of 2008 I got At the Bottom of the River (1983), a collection of short stories that changed the way I thought about Caribbean literature prose in general. It was the first time I’d seen prose spill over into poetry. Since then I read a few other works by Kincaid. Long story short, she is awesome, and anything she writes is worth reading. I’ve seen a lot of talk about this book all over the internet. Some of my favourite book bloggers have raved about how awesome it is. I’ve had a copy of Cloud Atlas (2004) in my digital library for a little while now but for some reason I haven’t gotten around to reading it yet. I picked up my first Caribbean graphic novel when I went to the Bim Literary Festival and Book Fair earlier this year. It was the first volume of Heartman by Matthew Clarke—a horror story that definitely left me feeling a little strange. I saw some photos on Facebook for the release of Hardears (2014) and it looked pretty cool. There’s been a lot buzz about this book, there’s also also been a lot buzz about how unprecedented it is for an entire trilogy to come out in the same year. 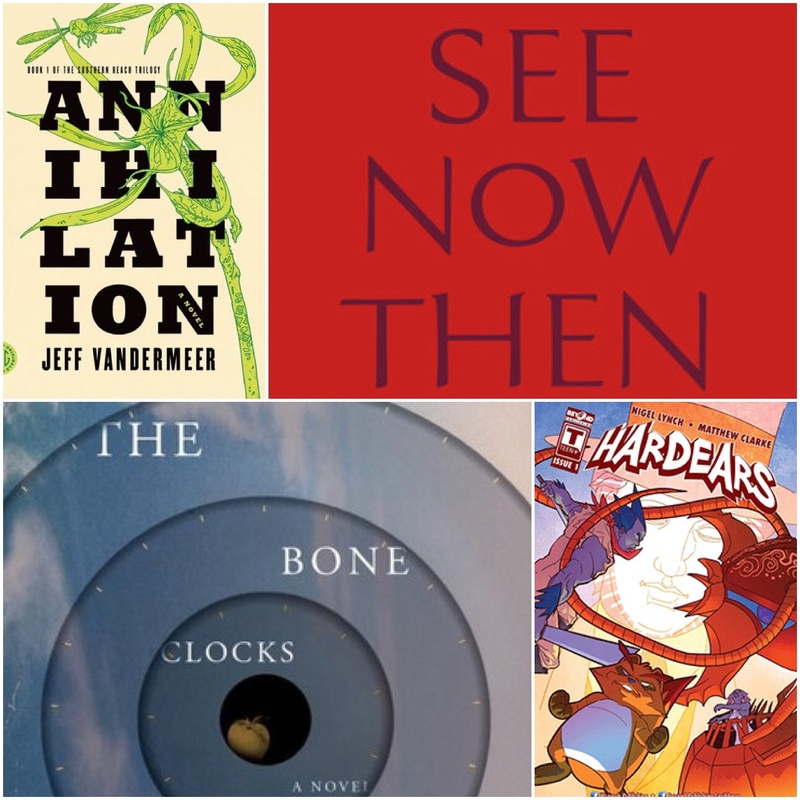 Annihilation (2014) is the first book in the trilogy. Why do I want to read this book? Because I could do with some decent science fiction! There you have it—a tiny fraction of my constantly evolving list of books. 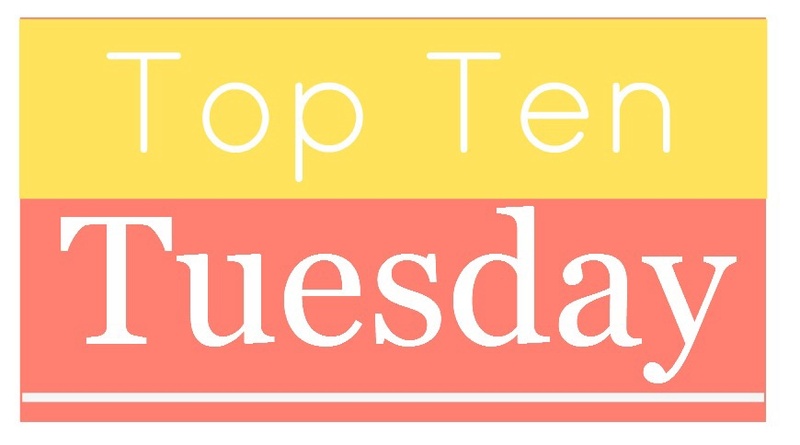 Recently, I asked a couple members of the book blogging community for recommendations of Australian writers, and what I got will probably keep me busy for a while. This post is on Barbara Baynton’s famous short story collection Bush Studies (1902), which was recommended by The Reading Life. Baynton was a 19th century/early 20th century Australian writer who was known for her gritty realism and grim portrayal of the bush–in the Australian context, the bush is a populated area far from a major city or a not so populated area with lots of vegetation. So far I’ve only read ‘The Dreamer’ and ‘Squeaker’s Mate’, but the word ‘studies’ in the title Bush Studies seems appropriate. Both stories offer brief glimpses into the harsh lives of women in the bush. When she arrives at the train station there is no one to meet her so she is forced to trek “…three bush miles to her mother’s home.” There is a kind of heartbreaking hopefulness in this, because the narrative oscillates between expectations of seeing her mother and the grim reality of the wet night-time trek where she begins to doubt whether she is on the right path. In an effort not spoil it for anyone else, the only thing I’d add is that this story left me breathless and I had to calm down before I could read anything else. Squeaker’s Mate is filled with patriarchal cruelty. The opening line in this story immediately highlights the point of conflict; a kind of disparity of the existing structure of gender inequality. 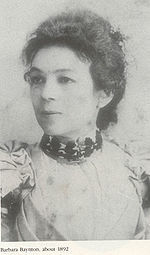 Squeaker’s mate, Mary, doesn’t match what a woman ought to be in the short story’s patriarchal world, “The selectors’ wives pretended to challenge her right to womanly garments…”. So when she is no longer able to work, she has to put up with a kind of petty cruelty from Squeaker. The story lists injustice after injustice, which only serves to highlight the weaknesses of Squeaker and the silent enduring strength of Mary. Definitely an uncomfortable read, but with a somewhat satisfyingly brutal conclusion. I think what is disturbing about both stories is the sense of isolation that the women in both stories experience. The woman from the first story has no choice but to contend with the natural elements on her own, and Mary, from the second story, must face cruel neglect without any help from anyone else; her only companion is her dog. At the same time there is a kind of strength in these women’s situations. In the the face of threatening environments and unjust social systems both women prove that they are not helpless damsels who need to be rescued, which is good since there aren’t any knights in shining armour. So far Baynton’s collection is a little depressing, but also very powerful. At the moment I’m working my way through ‘Scrammy ‘And’, so next week I’ll post my thoughts about that and ‘Billie Skywonkie’.